Ready to get started on a new cabinetry project? 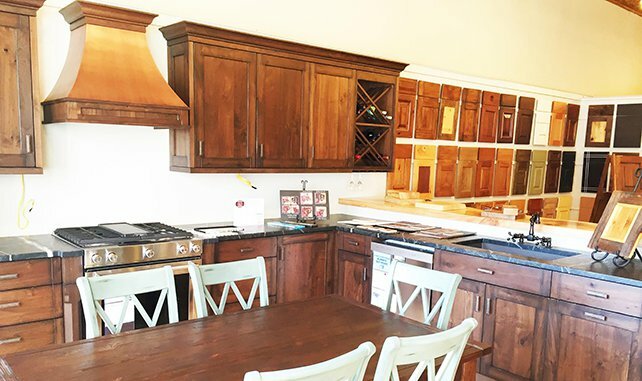 At Crazy Mountain Cabinetry, we believe your cabinets should not only fulfill your necessary household functions, but also be stunning in appearance and last the lifetime of your home. We’ve had the pleasure of serving the Livingston community and surrounding area with quality cabinetry and exceptional customer service since 1999. Since taking ownership in 2015, Krystal and Jason Cipriani have built onto the supplier’s existing legacy with their passion and knowledge of the industry. With 27 years of combined experience our designers will help you through our bulletproof process of measuring, ordering hardware and appliances and installing your finished product. We have a variety of countertop materials, hardware, cabinet accessories, door styles and wood species to choose from and all of our vendors are carefully selected and come with a lifetime warranty so that your investment is protected for years to come. Owning a small business that combines our love of design and art, creative spirit and the chance to share that inspiration with others has been a dream come true. We welcome you to come in and see our beautiful showroom at 124 S. Main Street in Downtown Livingston. We are here to help! Please feel free to contact us with questions or comments. If you are inquiring about a new project, please include as much information as you can, including its location and whether or not you have a contractor.